The institute is fully residential. There are separate hostels for boys and girls providing accommodation for each student on campus. Hostel common rooms are equipped with recreational facilities like Table Tennis, Carom along with LED TV with Dish connection, newspaper and telephones. Hostels are provided with Aqua guard purified drinking water facility with water coolers for supplying drinking water and geysers for bathing. The hostels also have a badminton court which is well illuminated with solar lights. There are two large sized dining halls with a seating capacity of 1200 students at a time. Each dining hall is well equipped with modern equipment and furniture. Both messes are run by outsourced mess contractors. SAC is constructed in an area of 37,000 square feet. It is equipped with indoor sports facilities like badminton, table tennis, billiards, squash, carom, dance room and well-equipped gymnasium with all the modern training machines. The SAC has outdoor facilities like cricket ground net practice arena, football ground, volleyball courts, lawn tennis courts, basketball courts and a futsal court too. This facility helps in the overall development of all students. There is a shopping complex inside the campus which provides the facilities of a supermarket, vegetable and fruit shop, cafeteria, gents saloon, beauty parlor, laundry, book store and stationery shop. HDFC bank has provided the ATM facility in the campus. Along with this, the State Bank of India (SBI) has provided ATM as well as its branch inside the campus itself. This bank branch provides for all the banking requirements of the residents. The medical centre provides for the primary medical needs of the residents. It provides 24*7 emergency care services for all its residents through a dedicated medical team. The medical centre has all the modern equipment like syringe pumps, ultrasonic therapy, defibrillator and much more. Specialists are available on routine as well as on call basis. The institute is empanelled with corporate, private hospitals and Goa medical college for higher care. Excellent facilities are available for boarding and lodging on payment at Visitor's Guest House (VGH) built in the southern corner of the campus. The VGH allows visitors to have a comfortable stay by providing all the requisite facilities. The campus library has several creatively built seating halls, a digital library with internet access terminals, and a large area for book storage. Subscription to important digital libraries and databases like IEEE Xplore online, Science Direct, Proquest and ACM DL etc. provide full access to thousands of online journals to faculty, students and researchers. Spaces like lounge area and exhibition area and peripheral utility infrastructure have been developed to make the reading experience more comfortable and enjoyable for the users. The library has been provided with a wireless network whereby users can access the internet using laptops. The library transactions and search are managed using the (FLOSS) KOHA Library Management software to automate its entire housekeeping activities. Computer Centre (CC) has a central computing lab having 300 workstations (DELL & Lenovo) connected through LAN. These computers support a large number of software tools and simultaneously provide for the storage, hardware and software needs of the campus. The centre also provides support for conducting online examinations in several courses including computer programming, data structures, engineering graphics and many more. Apart from the computing facilities, CC supports a LAN of 3000 nodes with intranet and internet facilities for the academic block, hostel rooms, staff quarters, guest house and other places. Secured wireless connectivity is provided in the institute building, student hostels, VGH, SAC and the medical centre too. An 18+16 seat CISCO telepresence conference room allows impressive multipoint teleconferencing facility to students and teachers. The telepresence room is used for delivering and receiving interactive lectures between all the BITS campus. This promotes the inter campus exchange of information and knowledge. 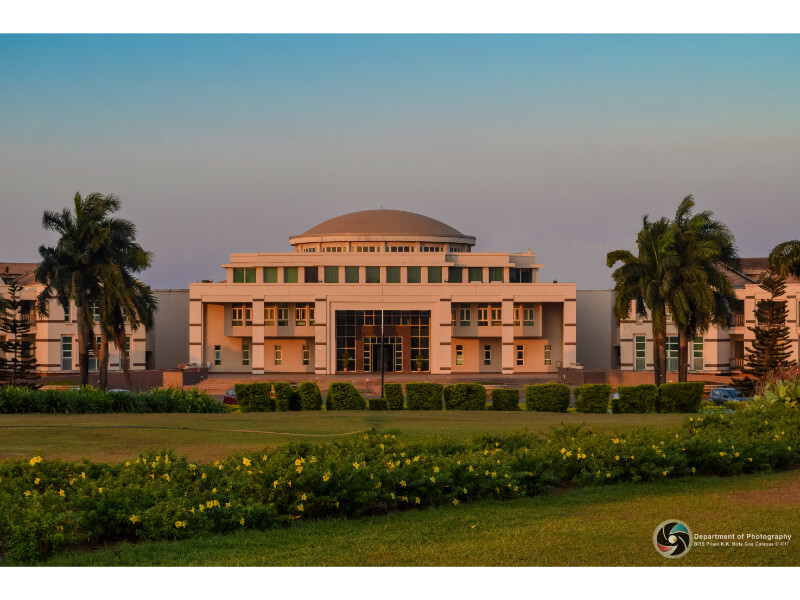 It is also used for cross campus courses, guest lectures, and online meetings of research groups in India as well as across the world. The institute provides labs equipped with all the sophisticated instruments and apparatus for students, faculty and research scholars. Some of these include: nonlinear optics lab, solid state physics lab, genetic engineering lab, embedded systems lab, scientific computing lab and many others. These labs help the students in utilizing and practically observing the knowledge imparted in classes.